At CoveCare Center, our clients are always our first priority. We are dedicated to treating each person under our care with the utmost respect and dignity, recognizing his or her rights as individuals, and ensuring that his or her information is protected with the greatest care and in accordance with privacy regulations. Please review Your Rights as a Client and our Notice of Privacy Practices below to understand what you can expect from CoveCare. Receive an individualized plan of treatment services and to participate in the establishment and revision of that plan. Receive full explanations of the services provided in accordance with your treatment plan. Receive services in such a manner to assure non-discrimination. Be treated in a way that acknowledges and respects your cultural environment. Receive confidential care. Except for life threatening emergency, court order, child abuse or crimes committed on program premises, the program cannot release information about your services without written consent. Minors over the age of 16 have the right of confidentiality, unless their health or safety or the health and safety of others are in jeopardy. The confidentiality of clinical records shall be maintained in accordance with Section 33.16 of the Mental Hygiene Law. Obtain access to your clinical records consistent with Section 33.13 of the Mental Hygiene Law. 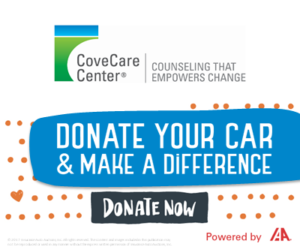 Receive written/verbal education concerning the effects and possible side effects of any medication prescribed to you by CoveCare Center’s qualified staff. Be informed of the agency grievance procedures and to initiate any questions, suggestions, complaints, or objections accordingly. Obtain, in writing, an explanation of reason(s) for your discharge from services. When possible, you will receive a referral to another program. While your full participation in the program is a central goal, if you object to your individualized service plan or it is not working to your satisfaction and you want it changed, that alone is not a reason to discharge you from the program. You can be discharged if participation is no longer clinically appropriate or if you engage in conduct which poses a risk of physical harm to yourself or others. Be informed of other arrangements if your worker is not available. Be free from abuse and mistreatment by employees. Treatment in any outpatient program is voluntary. You can refuse or end recommended services at any time. If you choose to refuse or end recommended services, you will be informed of any concerns we have for your mental health or well-being. You will also be informed of any external mandates that require your continued participation, such as court-ordered receipt of outpatient services and assisted outpatient treatment, or requirements of Child Protective Services. This privacy notice describes how health information about you may be used and disclosed and how you can get access to this information. Contact our Privacy Officer at 845-225-2700, Ext. 159, if you have any questions. Get a copy of your paper or electronic clinical record. Ask us to amend your paper or electronic clinical record. Get a list of those with whom we have shared your information. Telling family and friends about your condition, if you do not object. Respond to orders from the court. If you have any questions or concerns regarding your rights and privacy, please contact our Privacy Officer at (845) 225-2700 X159 or email sfurjanic@CoveCareCenter.org. Click here for Frequently Asked Questions about CoveCare Center including insurance coverage.